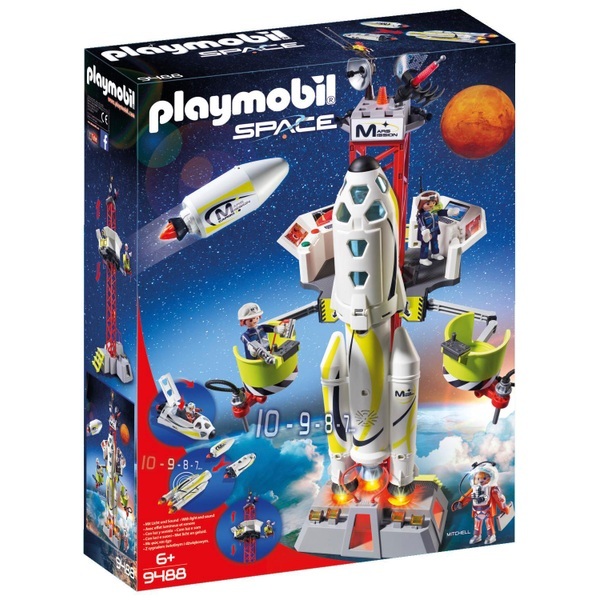 Get ready for the most exciting space exploration mission with the Playmobil Space Mission Rocket Launch Site playset. The main rocket engine includes interchangeable pieces; attach either the crew shuttle or payload, as well as lights and sound. When preparing your rocket, use the rotating pods for a full 360° view around the launch tower. The service platform around the launch tower which is detailed with controls can also be moved up and down, making sure you can reach all parts of the rocket with ease. The crew shuttle can fit up to 2 Playmobil figures and the roof can be opened to insert or remove figures.